For a limited time (till the end of 2013) Pioneer Electronics is offering an ad-free Pandora music streaming experience when connected to any one of their select head units. 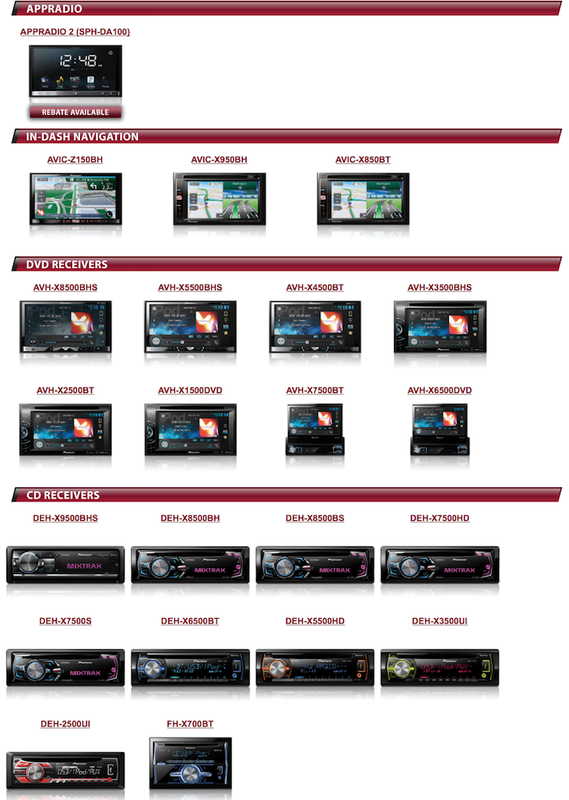 There are over 20 head units that are compatible with this offer. Pioneer has a webpage set up explaining the offer along with a list of receivers that are supported. Surprisingly, AppRadio 3 is not one of them. Full details are below. Simply connect, put your phone away and enjoy an ad-free listening experience when connected to any Pioneer car stereo with built-in Pandora using your iOS or Android phone. Pioneer has more than 20 car stereos, starting at only $90 that offer full control and playback of Pandora. And now, for a limited time, connect your smartphone to a compatible car stereo and enjoy commercial free listening for the rest of this year! Find your model below. Even though AppRadio 3 is not included on this list, I think it is supported. In hindsight, I don't remember having to listen to commercials while streaming Pandora with my AppRadio 3 (SPH-DA210). So if you have one of the head units listed above, enjoy commercial free music through Pandora thanks to Pioneer. This is nothing new and has nothing to do with a limited time only offer from Pioneer. Pandora has always worked this way when connected to a head unit. This is a feature Pandora built into the app when they first began offering external unit control as part of the app. This is simply a marketing ploy by Pioneer to clear out their 2013 inventory to make room for the 2014 inventory. This will work on any current and should on any future Pioneer unit that offers Pandora control. And it does work on AR models. Again it has nothing to do with Pioneer. Pandora is who you should thank.